I splurged on a Julep Diamond Mystery Box last month, specifically because I wanted to get my paws on the new diamond topper polishes, and boy oh boy, am I ever glad I did. Because not only did I get the two diamond toppers, but four other polishes, three beauty products, and two eyeshadow brushes!! For the base coats, I did two coats of Paper Mache, Rebel, and Felicity. When that was dry, I did one coat of Chantel and Sky. Having previous experience with finicky larger glitter pieces, I knew the diamonds wouldn't go on evenly, but there are little bits of glitter too, so the goal of the first coat was to make sure the smaller glitter got good coverage. I let the first coat dry for a while, and then picked out individual diamonds from the polish brush (with a nail art brush) and filled in the gaps. Two coats of quick-dry top coat covered the diamonds' edges, giving each nail a smooth finish. As you can see with this outdoor picture, when the sun hits the diamonds, it's like BLAMMO AWESOMEST SHINE OF LIFE. Haha! And although I love the gold glitter in Chantal, but I'm positively bananas about the holo glitter in Sky. Such a good idea instead of just plain silver! I don't know if you can still get the diamond top coats, but if you can, you should totally splurge. The diamond shapes are so fun, and they're just big enough to make a serious impact, while also being small enough to layer. Well done, Julep! This is one of your best! What are you rocking this week? Hope you have an awesome weekend! And if you're in the States, Happy Thanksgiving (err, yesterday, haha)! Oh have mercy. 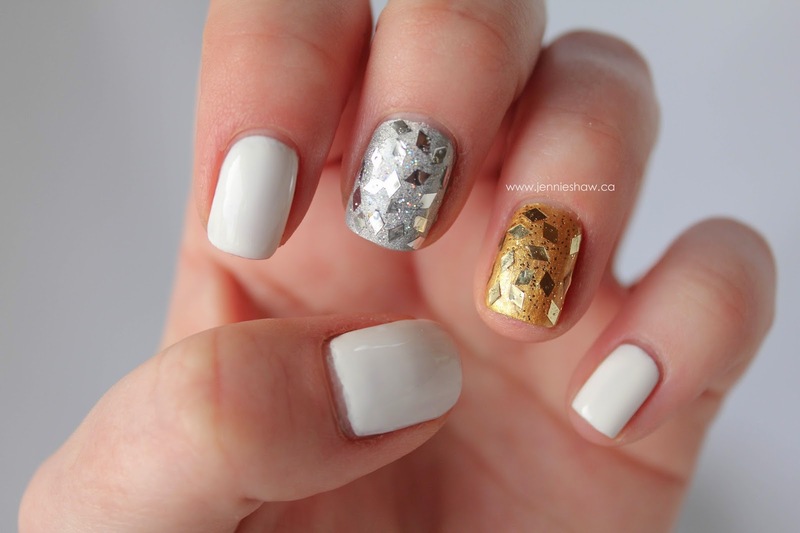 You just need to stop with these awesome manis! Seriously loving those diamond topcoats! AND layering them over silver and gold? IN LOVE! I like those a lot, they're really different. Ooooo! They're so mirror shiney! Good splurge, for sure! So pretty I will have to check it out! 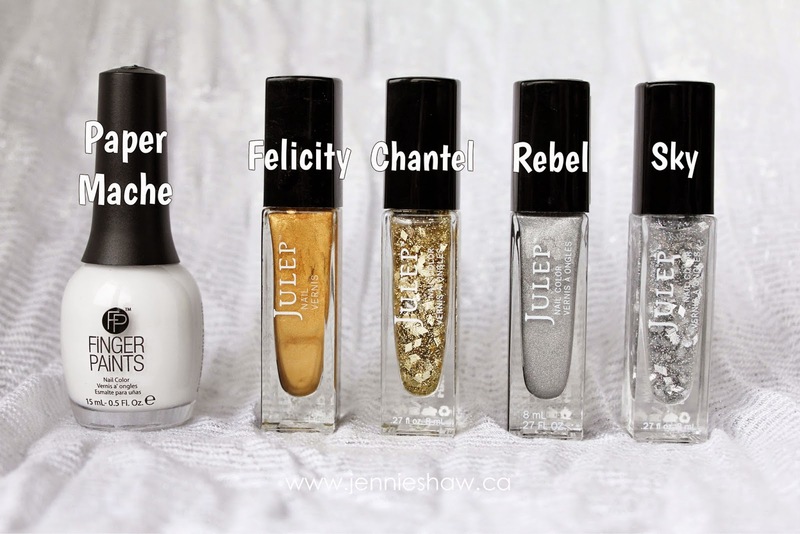 I love Julep!